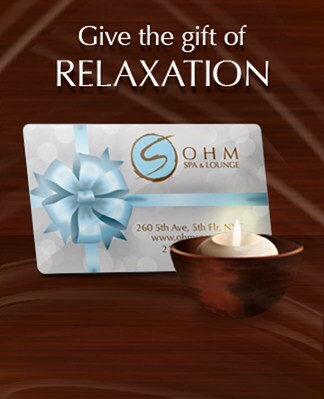 At Ohm Spa, we believe proper skincare goes beyond the pursuit of beauty. Having healthy, vibrant skin is a vital component of an overall wellness program that requires dedicated attention. We specialize in immediate, visible results while emphasizing a long-term approach to skincare that provides lasting benefits. Our treatments combine the expertise of our highly trained therapists and an array of potent and therapeutic skincare products to achieve immediate and long term goals. Each facial treatment is uniquely customized by our trusted skincare therapist to the client’s skin condition and tailored to individual needs. A calm, soothing environment is created to allow your mind and body to ease away tension as your skincare needs are being addressed. All guests receive a consultation and evaluation by a licensed skincare therapist and undergo a recommended treatment approach to address their unique needs. Education and guidance will be provided at the end of each facial treatment if interested. *Please inform your therapist of any medications you’re using that may cause contra-indications. Antipodes, Shea Terra Organics, Sanitas Skincare and Neals Yard Remedies. Click here to learn more about our Product lines. Allow our talented skincare therapists to analyze your skin and create the perfect treatment tailored to your skin care needs and goals. Whether you have dry, oily, sensitive, acne-prone or combination skin, our expert staff can help you achieve your best complexion ever. Using potent skincare products and specialized techniques, you will receive a personalized experience each time you come in and your skin will thank you. Perfect for those on a tight schedule, this 30-minute treatment freshens your skin with the basic, essential steps of our full-length signature facials – cleansing, exfoliation, masque and moisturizing. Please note, extractions are not performed during this treatment. Created for those who desire a deluxe, anti-aging treatment without the need for extractions. Benefit from the exclusive ingredients curated from the Divine Intervention Facial in a shorter duration. With the special formulations of Vitamin A, C, E, K and D, phospholipids and other highly concentrated peptides by Sanitas, your skin has no option but to respond! A great pick-me-up for tired, dull skin that needs rejuvenation. This facial will enhance tissue firmness, reduce fine lines and wrinkles, minimize inflammation as well as stimulate collagen and elastin production on the cellular level. See a review of Ohm Spa’s Divine Intervention Facial here. Using advanced products and techniques compared to our Signature Customized Facials, our Premium Facials are specialized services for clients dealing with more severe skincare conditions. Each Premium Facial is designed to address a specific skin type for a more concentrated treatment. Specifically designed for sufferers of acne and frequent breakouts, this treatment attacks existing blemishes with a thorough cleansing to remove acne-causing bacteria. A deep exfoliation to unclog pores in addition to anti-bacterial cleansing, detoxifying clays, and blemish-fighting masques help prevent future breakouts and leaves the skin soft and smooth. Additional extractions are then performed and even the most stubborn comedones are gently removed. Using 100% genuine, certified manuka honey imported from New Zealand, this luxurious treatment features an organic antioxidant known to enhance cellular regeneration for improved skin texture and smoothness, while naturally promoting collagen production. We use only pure, New Zealand manuka honey that has the unique ability to increase skin hydration as it eliminates acne-causing bacteria without any drying effects. You will immediately notice a brighter and revitalized complexion. * Not recommended for anyone allergic to honey or bee products. An effective but non-invasive facial treatment using a self-neutralizing enzymatic peel derived from mushroom extracts. This enzyme mimics the natural exfoliation of the skin, producing a targeted, cell-specific peel. Unlike glycolic or acid, our enzymatic peel produces no irritation or redness and is even gentle enough for sensitive skin. The appearance of fine lines and dark spots are noticeably reduced, leaving your skin remarkably smooth and luminous. *Not recommended for anyone allergic to mushrooms. An intensive, anti-aging treatment that simultaneously stimulates and exfoliates the skin, revealing a healthier complexion. Reap the amazing benefits of reduced hyper-pigmentation, smoother skin tone and texture. Key ingredients such as hyaluronic acid and beta glucan will promote wound healing and improve moisture absorption while shielding skin from photodamage. Great for individuals who have never had a peel or would like to begin a series of peels. *Safe and effective during pregnancy. A soothing, therapeutic service that alleviates the skin issues associated with pregnancy. Using all natural, baby-safe products and techniques, this pampering facial has the specific needs of expectant mothers in mind. Helps to improve circulation, moisture retention, breakouts and elasticity. For extra care and attention, also consider the Ohm Spa Pre-natal Mommy Package which includes a 60-minute pre-natal massage. Soothing Eye treatment – bring new life to tired eyes! 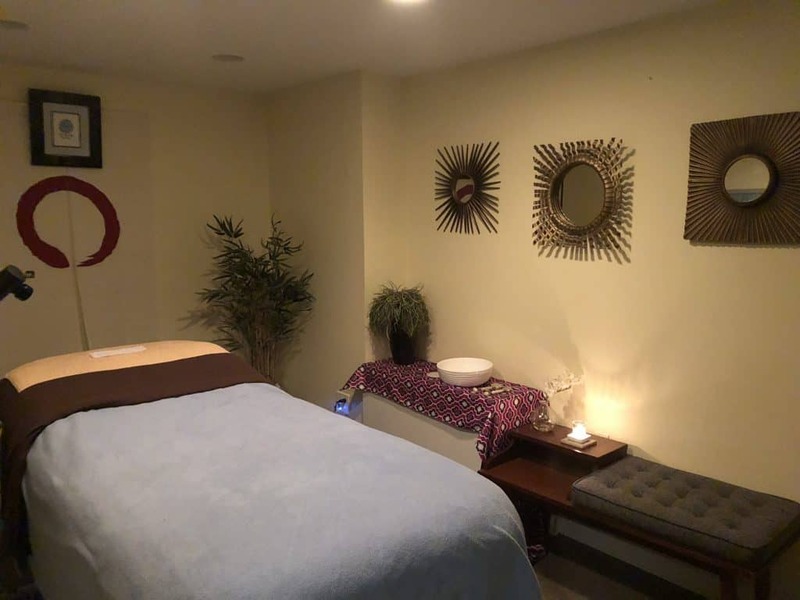 Features an herbal compress, a massage with the Clarisonic Opal to stimulate lymphatic drainage and circulation, and finishes with Shea Terra’s natural argan and green coffee oil. For when your skin needs a bit more help than what any of our Premium Facials can provide. This facial will enhance tissue firmness, reduce fine lines and wrinkles, minimize inflammation as well as stimulate collagen and elastin production on the cellular level. With the special formulations of Vitamin A, C, E, K and D, phospholipids and other highly concentrated peptides by Sanitas, your skin has no option but to respond! A truly heavenly experience! See a review of Ohm Spa’s Divine Intervention Facial here. Created for those who desire a deluxe, anti-aging treatment without the need for extractions. Benefit from the exclusive ingredients curated from the Divine Intervention Facial in a shorter duration. A great pick-me-up for tired, dull skin that needs rejuvenation. See a review of Ohm Spa’s Divine Intervention Facial here. We address the skincare concerns on your back as we would your face. Our product’s active ingredients will be leaving you with incredibly softer and smoother skin. Let us help you take care of the skin in these often-neglected areas you can’t reach. Each session includes cleansing, exfoliation, extractions, moisturizing and a selective masque specially formulated for your appropriate skin issue. We customize each treatment to help exfoliate dead skin cells and provide nourishment to allow your skin to be healthy and beautiful.